The luxury project has weathered market forces, changes in homebuyers’ appetite and property cooling measures. DP Architects’ Wu Zhi Wei gives a behind-the-scenes account of how design played a part. 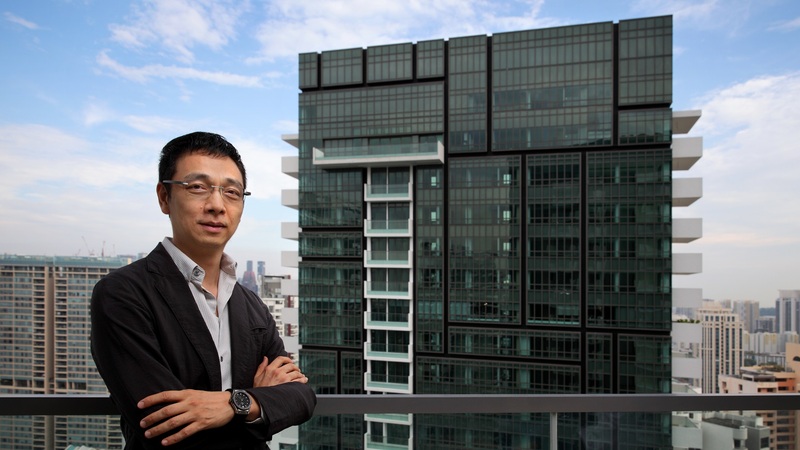 When Wu Zhi Wei, DP Architects’ group director for Asia, revisited the 8 St Thomas development late last year, he was worried about how it would look against a backdrop of newer condominiums that had sprouted up in the neighbourhood. After all, Wu had designed 8 St Thomas nine years ago but the 250-unit development was completed only in January 2018. The ultimate test came when listed Singapore developer Bukit Sembawang Estates previewed 8 St Thomas simultaneously in Hong Kong and Singapore over the weekend of Aug 25 and 26. So far, more than 20 units have been sold, according to the developer. About 70% of the buyers were from Singapore, and the remainder from Hong Kong. Based on caveats lodged, the average price achieved was $3,191 psf. Wu’s trepidation quickly turned to relief. “When I heard the prices achieved, I thought, ‘Wow, more than $3,000 psf!’” he says. Even Bukit Sembawang says it was “heartened” by the response to the project. “Prices averaging above $3,000 psf is encouraging in today’s property market,” says group CEO Ng Chee Seng. The average price achieved at 8 St Thomas has effectively set a new threshold for the St Thomas enclave. A high of $3,400 psf was achieved for an 807 sq ft, two-bedroom unit on the 31st floor that was sold on the first weekend of preview at 8 St Thomas. In 3Q2018, the Core Central Region (CCR) had the least new launches, and the launch of 8 St Thomas achieved a high median price of $3,226 psf, says Ong Teck Hui, JLL national director of research & consultancy, Among the different regions, CCR registered the highest increase of 1.2% for non-landed property, based on the URA 3Q2018 flash estimate, he adds.